Someone is stealing London’s yard ornaments, and there’s only one detective small enough for a mystery this big: Sherlock Gnomes. 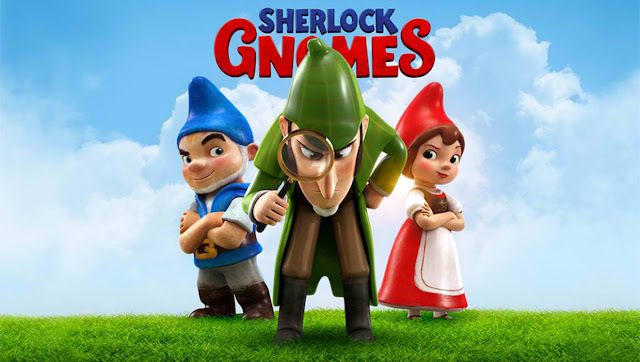 Johnny Depp lends his voice to the titular character Sherlock Gnomes, while Chiwetel Ejiofor plays his long-suffering sidekick, Watson, in the eagerly anticipated sequel to hit comedy Gnomeo and Juliet. This action-packed sequel also features the voices of returning cast, James McAvoy, Emily Blunt, Michael Caine, Maggie Smith, Stephen Merchant and Ozzy Osbourne. Now playing in cinemas, Sherlock Gnomes is distributed in the Philippines by United International Pictures through Columbia Pictures.